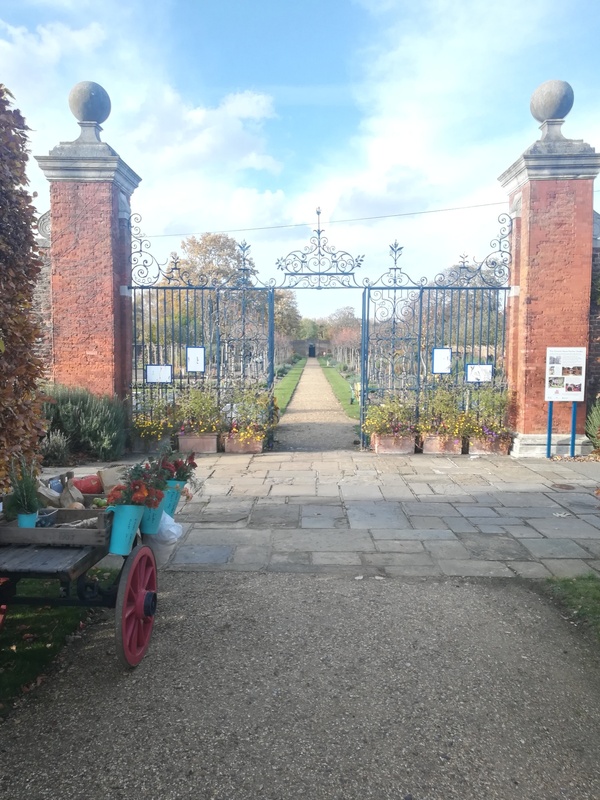 I started at Chiswick House & Gardens in November as the Trust’s first ever full-time fundraiser, after the Trust’s receipt of a Heritage Lottery Fund Resilient Heritage grant. I may have started in the gloomier part of the year, when the trees have shed their leaves and the darkness creeps in long before it is time to clock off for the day, but Chiswick’s majesty is not dulled by even the darkest of seasons. 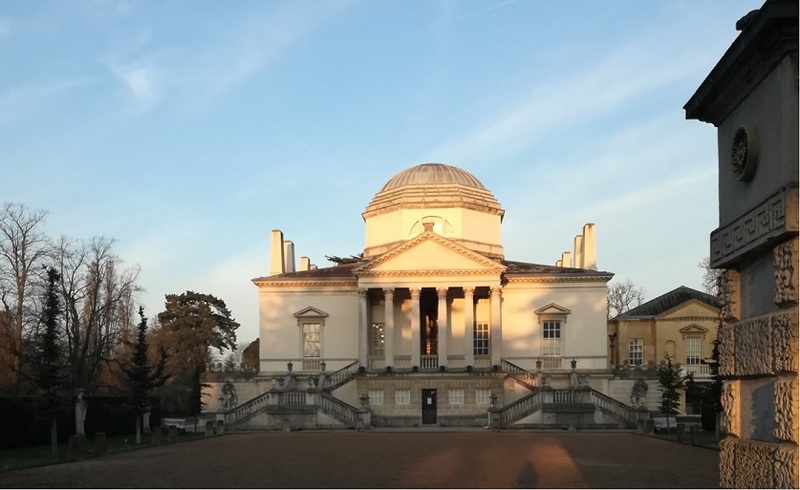 The House and Gardens, designed to be a single work of art were only reunited just over 18 months ago when Chiswick House & Gardens Trust (CHGT) took over management of the House from the English Heritage Trust. I have learnt many a thing since I arrived, both about the House’s history and the Trust’s contemporary work. Since the time of its construction in the 18th century, the House has been extended, remodeled, utilised for mixed purposes, sold and gifted to the Nation. In truth, the very term ‘House’ was only correct during a later part of the Villa’s life, being a misnomer in both its beginnings and now in its reformed state. The structure was never designed to be permanently lived in, with no kitchens or servant’s quarters. If it is anything, it was Lord Burlington’s experiment in taste; a way to showcase not simply his collection of fine art, sculpture and furniture but to be a piece of art unto itself. Sadly, part of the original art collection was relocated to Chatsworth when the Dukes of Devonshire sold the House to Middlesex Council, though there is still many a treasure to see. Beyond the history of the place, which is rich in more ways than one, there is the overwhelming sense that the House and Gardens mean something to the community. 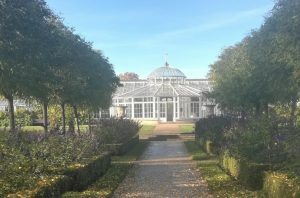 London is one of the greenest capital cities in the world – with over 40% of the land not built upon – Chiswick’s 65 acres certainly help with that statistic and our Gardens are well utilised: dog-walkers, runners, parents with their children; picnickers; cricket enthusiasts, and those who are in pursuit of some peace and quiet. There is a spirit to the place that is palpable, and I feel Lord Burlington would have approved; he opened the House to paying visitors when he was in residence, wanting to share the world he had created. The ‘earthly paradise’ which Georgiana, Duchess of Devonshire later described. 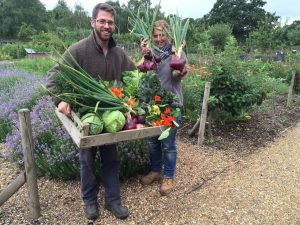 There is a veritable army of volunteers who help keep the Garden both true to its eighteenth-century roots and at a twenty-first-century award winning standard. These volunteers are about to be joined by a new pool of House Stewards, who will assist the staff with opening Chiswick’s doors and telling its story to our thousands of visitors. Whilst we begin a programme of improvement works to the House to increase its accessibility, these volunteers will help to lessen the restrictions that currently exist. The Garden was extensively restored between 2006 – 2010, with the help of many trusts, foundations and individuals, including National Lottery players through the Heritage Lottery Fund. It is now the House that CHGT turns its improving eye towards, wishing to make it not only an even better cultural resource for the local community but a national and international ‘must see’. Chiswick House & Gardens has certainly come a long way in its revival but with so many more stories to tell and activities to engage in, there is still so much more which can be done. I will be working hard to fundraise for it all! All images are the authors own. I joined Chiswick House & Gardens in 2018 as Development Officer, funded by the National Lottery as part of a Resilient Heritage grant. I'm passionate about all things arts and heritage and have a Masters in International Cultural Heritage Management.